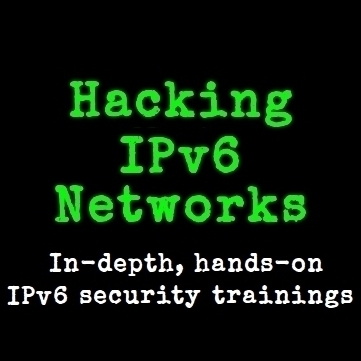 We have launched a series of in-depth, hands-one trainings about IPv6 security. The first edition was last June, at the Hack in Paris 2011 conference in Paris, France. The next edition will be in Sao Paulo, Brazil. Check out the training's web site! for the Protection of National Infrastructure (CPNI). 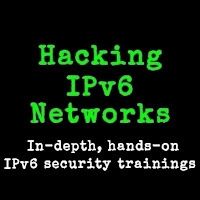 This article, which is a part of the SearchSecurity.com mini learning guide, IPv6 tutorial: Understanding IPv6 security issues, threats, defenses, discusses how a number of factors, such as a lack of trained personnel and limited IPv6 support in security devices, may affect the security of IPv6 network deployments. It also explains the potential effects of those factors, and suggests possible ways to mitigate these shortcomings. Techtarget.com has published and article entitled "World IPv6 Day recap" which comments on the outcome of the World IPv6 Day. I have been quoted in that article noting that many people assume that during the World IPv6 Day, everyone accessed Google and Facebook with IPv6. But that's not the case: most users still accessed those sites with IPv4, since they had no IPv6 connectivity and/or their operating systems preferred IPv4 connectivity over the IPv6 connectivity they had available.